by Jeremy Nixon, a nobody fireman trying to do it right, but mostly getting it wrong. With Thanksgiving being this week, we have a lot to be thankful for. We have a lot to be joyful about. The Lord is good, even through our heartaches and our losses. One thing remains: God is on the throne and He is in control. That gives me hope and joy. In John 15, Jesus says that the Lord is glorified in us bearing much fruit. He calls us to abide in Him and his love. The reason behind this is so his Joy can be in us and to make our Joy full. Have you seen the movie Inside Out? If you have not, then you should stop reading this and watch immediately! If you don’t know me then you’re probably better off. Lol. I am a firefighter, a husband and dad to 3 gorgeous little girls. That’s right. GIRLS. I watch Disney movies and Mickey Mouse Clubhouse so much that I sing their tunes in my sleep. In the movie Inside Out, there are 5 distinct personifications of emotions that guide this little girl’s life: Joy, Sadness, Anger, Fear and Disgust. 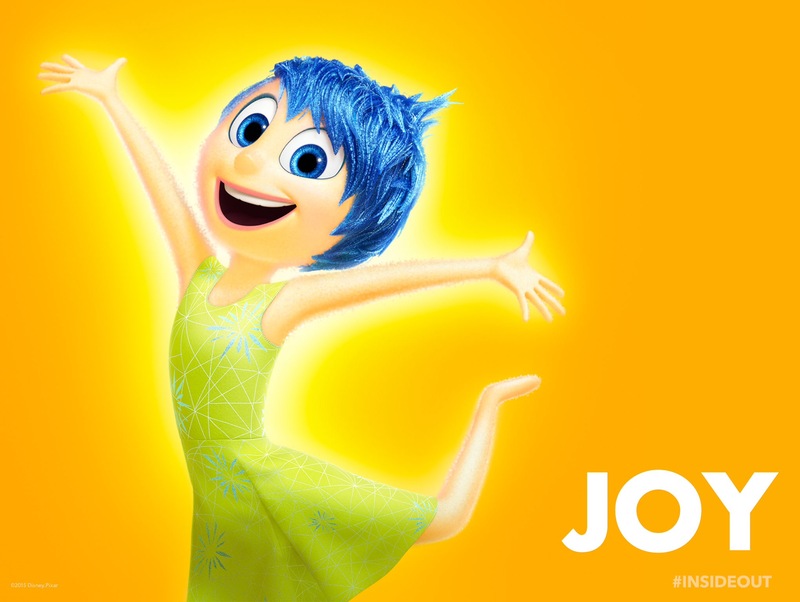 Joy makes everything happy. At least she tries her hardest. Spoiler alert: In the end she finds out that they all 5 have to work together to make life memorable and full of unique experiences. When Paul writes about joy in Galations 5 he is talking about fruits of the Spirit, not emotions. I believe he is talking about a set of attributes that encompass every believer and, just like the movie, I believe they work together for God’s purpose! Joy as defined by Webster’s is a feeling of great happiness. But I like the second part even better: a SOURCE or cause of great happiness. PEOPLE!!! That source is JESUS! Can I get an Amen!?! That is JOY. He is JOY. If you don’t know Jesus you can’t experience pure joy. But with Jesus you CAN display JOY and you CAN give JOY to others. God is doing great things around this world, and it’s because believers are growing and getting dirty, shoveling out fresh fruit to the world. If you want to see it, then get out and get dirty. Love Jesus. Love others. Be joyful. Be happy. That should give you JOY. Love and Joy work hand in hand. You can’t just be one or the other. You’ve got to be all in, and you have to let God use you and your experiences to show others this marvelous love and joy that we have. How are you going to be joyful this week?